Each Member receives £2,000 per year. 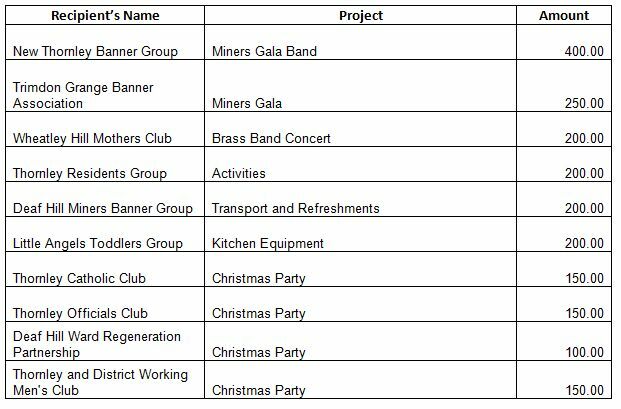 A MIF grant can be used to fund all or part of a project. The Neighbourhood Budget (NB) is an annual allocation of £25,000 which is made to Durham County Council councillors to support the improvement of social, economic and environmental well-being activities in their area. 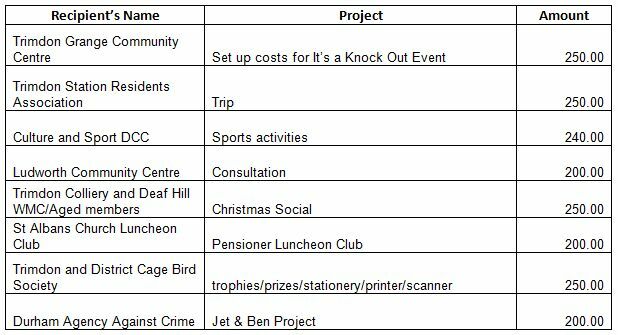 It aims to support the funding of proposals which are identified as priorities within the AAP Action Plan and other neighbourhood priorities for the local area.